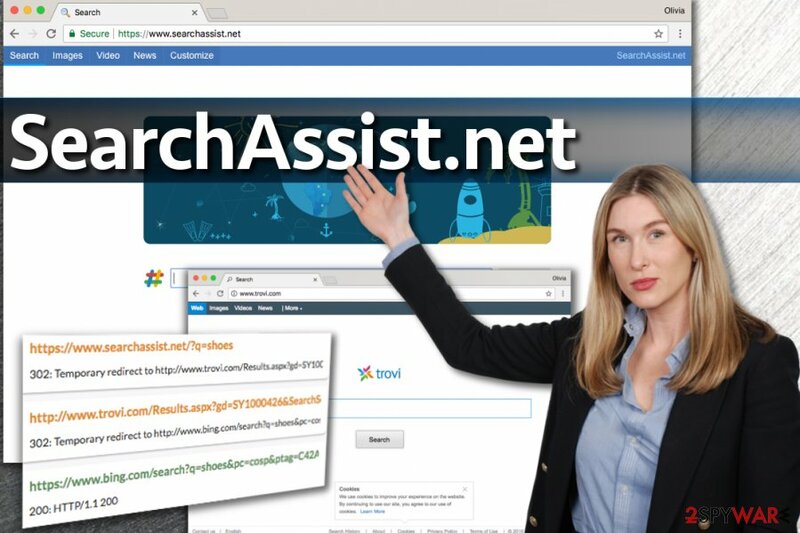 SearchAssist.net is the PUP that uses misleading techniques to prevent removal. Use Reimage to locate malicious components and get rid of them faster than with uninstall instructions. A full system scan blocks virus reappearance and prevents traffic to malicious domains. SearchAssist.net is a suspicious search engine that spreads in the software bundle and after infiltration alters browsers' settings. 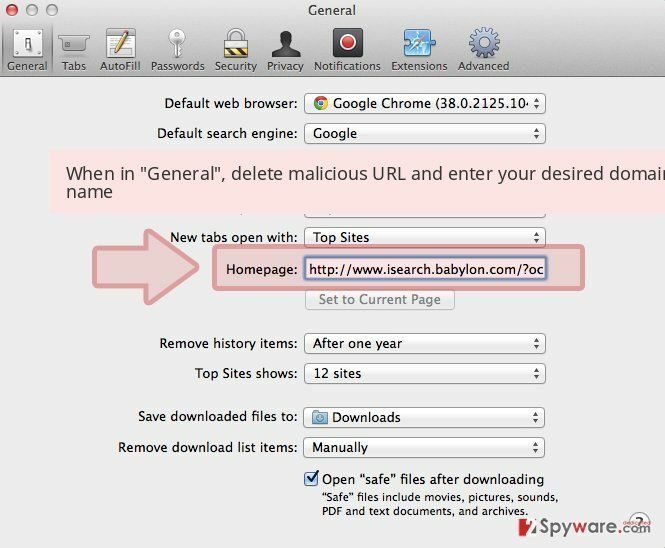 SearchAssist.net is one of those search engines that can be set to appear on victim's browser without user's permission or knowledge. In the official website, developers offer to install SearchAssist.me plugin and use their services. However, if it were the one and the only distribution method, we wouldn’t be talking about this app. This browser plugin or website may appear on your Internet Explorer, Google Chrome or Mozilla Firefox after one careless software installation accident. This browser hijacker spreads hidden in the software packages, and you can easily experience SearchAssist.net hijack when rushing with the installation of the new program. Once inside your PC, it alters all your browsers’ settings and forces you to see this domain every time you decide to browse the Internet. Even though it looks like an ordinary search engine and might resemble a well-known Google, you should not trust it as much as the search giant. This shady program is capable of modifying search results. That means that instead of organic results, you may find lots of sponsored links and ads. NoVirus.uk experts explain that the hijacker communicates with Trovi redirect virus to serve sponsored results and collect users' search queries. At the moment of writing, the final page that the victim gets landed on after visiting Trovi.com is Bing. However, cybersecurity specialists have already warned users that it may be just temporary and shady modifications with serious consequences may show up any minute. In no time, you need to remove SearchAssist.net virus from your computer. So-called virus (which in reality is rather a browser hijacker than a virus) may not only play with your search results but also bombard you with various pop-up ads and may even track your browsing habits in order to get more knowledge about your activity on the Internet. If you have thought that SearchAssist.net redirect activity is harmless, you should think again because such information as search terms, most visited websites, time that is spent on each of them, data that is entered, etc. may reveal a little bit too much about you. SearchAssist.net virus redirects user to Trovi before landing him on Bing search results page filled with ads. That's why we highly recommend keeping it private. For full SearchAssist.net removal, you should waste no time and scan your PC with updated anti-spyware, for instance Reimage. We recommend opting for automatic elimination instead of manual because it’s the quickest and easiest way to investigate computer’s system. It might take ages looking for potentially dangerous components that may be related to the browser hijacker without any help. However, if you feel capable and having enough skills, you can try manual removal option which was created by our experts. 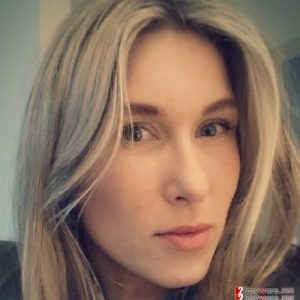 MyPrivacyAssistant.com virus. MyPrivacyAssistant search will be set as your default one if you install a suspicious program that is widely known as a “browser hijacker.” Just like the initial version, it aims to serve sponsored search results collected from various ad networks. What is more, My Privacy Assistant gathers search results from Trovi, which is an infamous provider of modified search results. It's best to avoid these search tools if you want to enjoy secure browsing sessions. To remove these programs, you might need to use anti-spyware software since they tend to hide themselves in the computer system to protect themselves from unexpected removal. Just like any other potentially unwanted program, SearchAssist.net virus spreads around using “bundling.” Unfortunately but we can't say what programs have been involved in its distribution. That's why you should try to be careful when downloading ANY free application. This method will help you to see what “optional” components are trying to get inside your PC system. Please, opt out of this and similar unknown search engines, browser add-ons, toolbars, plugins, and extensions. Earlier we have mentioned that manual SearchAssist.net removal requires exploring affected computer’s system. Below you can find guidelines how to do it. 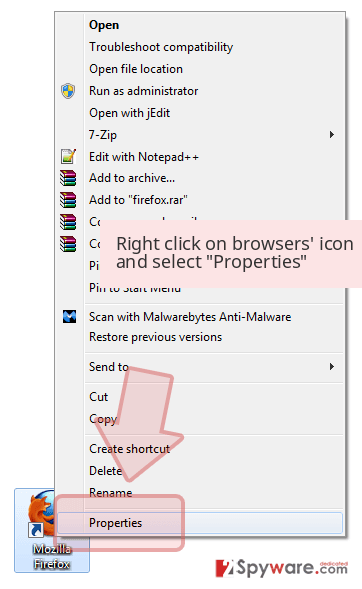 Make sure you remove all hijacker-related components and fix all web browsers. If you leave something, you may experience another hijack. What is more, don't forget to fix your web browsers. The hijacker is compatible with Internet Explorer, Google Chrome, and Mozilla Firefox; however, we recommend checking other browsers as well. If you have no experience in such activities, we highly recommend opting for automatic removal. Not only this method saves times but also assures that all PUPs and malicious components are deleted from the machine. To remove SearchAssist.net automatically, you have to install the anti-spyware program, update it and run a full system scan. The step-by-step guide below will help you to uninstall SearchAssist.net from the computer manually. Make sure you locate and delete all hijacker-related files and folders.You can never be sure what other PUPs might have been installed without your knowledge. Here, look for SearchAssist.net or any other recently installed suspicious programs. Wait until you see Applications folder and look for SearchAssist.net or any other suspicious programs on it. Now right click on every of such entries and select Move to Trash. 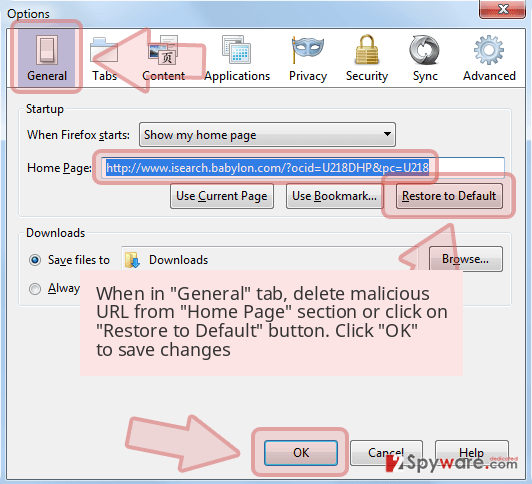 After SearchAssist.net hijack you may find some unknown add-ons on the Internet Explorer. Of course, you have to delete them. 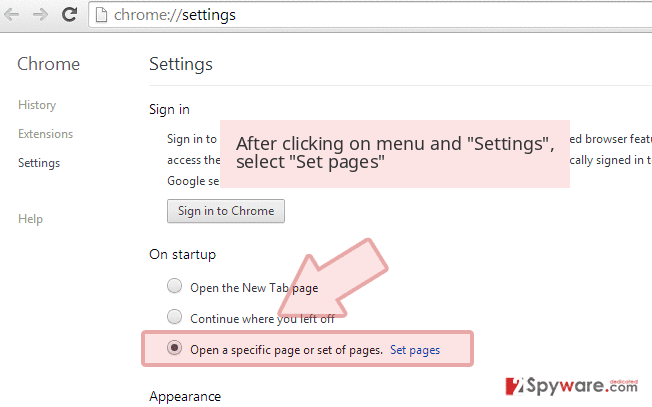 Below you will find instructions how to reset your browser. When in the new window, check Delete personal settings and select Reset again to complete SearchAssist.net removal. Once these steps are finished, SearchAssist.net should be removed from your Microsoft Edge browser. Here, select SearchAssist.net and other questionable plugins. Click Remove to delete these entries. Now you will see Reset Firefox to its default state message with Reset Firefox button. Click this button for several times and complete SearchAssist.net removal. Google Chrome is often attacked by browser hijackers. Therefore, after SearchAssist.net hijack you may find suspicious extensions or toolbars installed on it as well. Remove them and reset browser's settings. Here, select SearchAssist.net and other malicious plugins and select trash icon to delete these entries. Click Reset to confirm this action and complete SearchAssist.net removal. 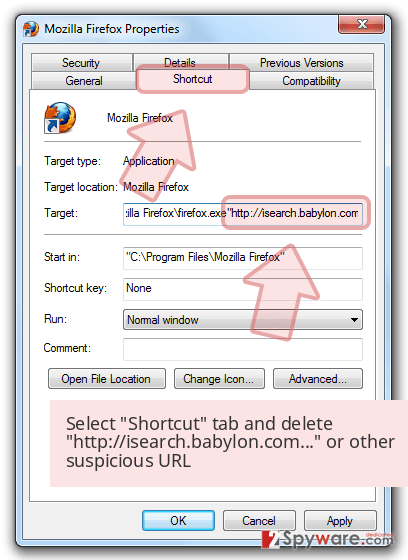 Here, select Extensions and look for SearchAssist.net or other suspicious entries. Click on the Uninstall button to get rid each of them. Here, look at the Homepage field. If it was altered by SearchAssist.net, remove unwanted link and enter the one that you want to use for your searches. Remember to include the "http://" before typing in the address of the page. Now you will see a detailed dialog window filled with reset options. All of those options are usually checked, but you can specify which of them you want to reset. Click the Reset button to complete SearchAssist.net removal process. ^ How to Keep Your PC Safe from Potentially Unwanted Programs (PUPs). Wiki How. Instructions how to do anything. ^ Kevin Lee. What Form of Malware Are Pop-Up Ads?. Chron. Huston News, Sports, Business, and Entertainment. ^ Joseph Steinberg. 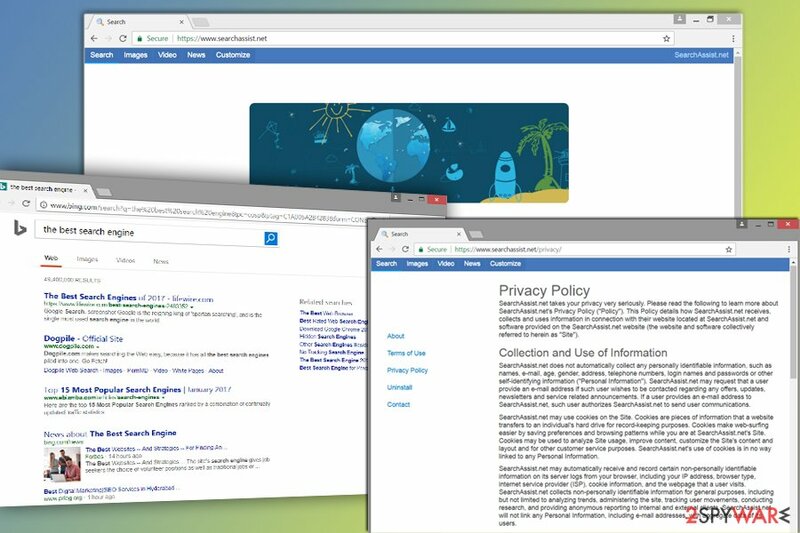 Your Privacy Is Now At Risk From Search Engines - Even If The Law Says Otherwise. Forbes. Business and financial news. ^ Bundled Software. Technopedia. Where IT and Business Meet. ^ Darragh Delaney. The dangers of browser add-ons. ComputerWorld. IT news, careers, business technology, reviews. This entry was posted on 2017-09-29 at 00:57 and is filed under Stealing programs, Viruses. You can quickly scan the QR code with your mobile device and have SearchAssist.net manual removal instructions right in your pocket. How did you remove SearchAssist.net?